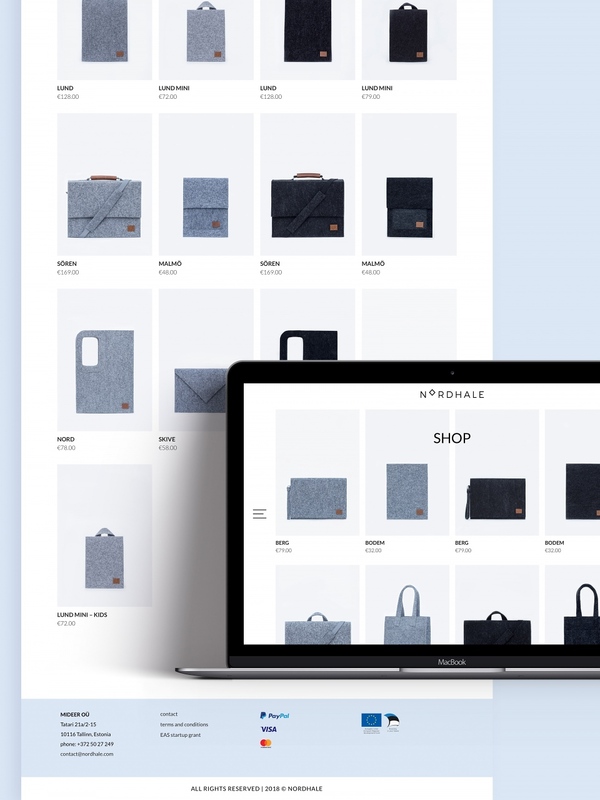 Nordhale is a small Estonian brand that makes minimalistic bags from reused felt. 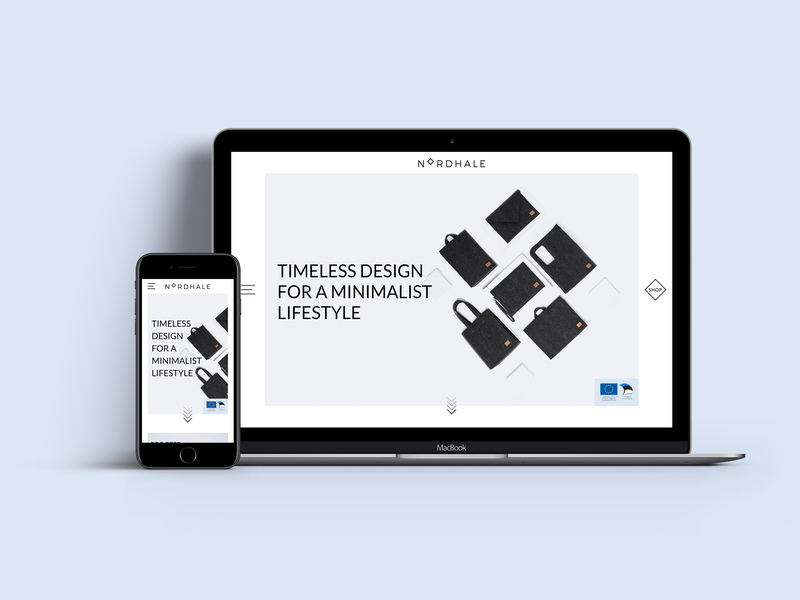 The goal was to apply the renewed Nordhale brand to their new digital home. 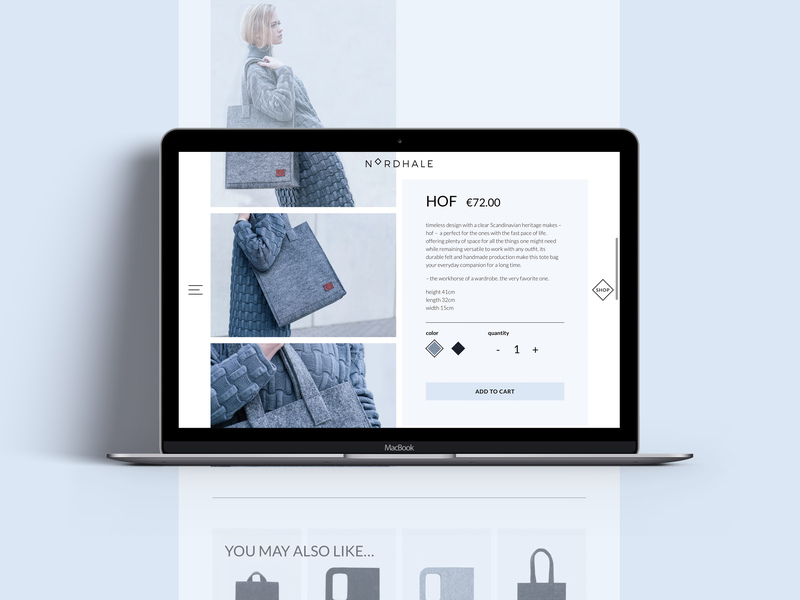 We advised on the creative management side to set the conceptual goals of the web. 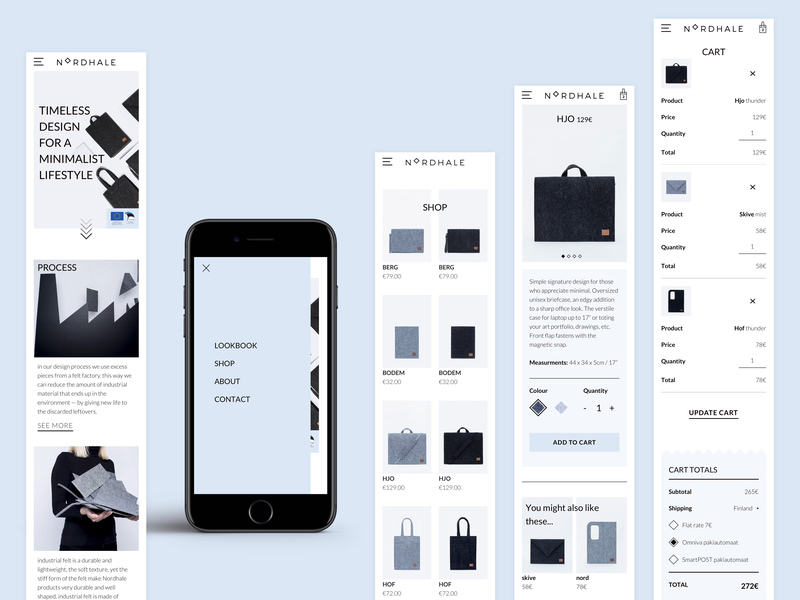 A functional web shop was also added.